After a very successful career in Public Relations, Paul Roberts found himself effectively out of work due to the economic collapse during the recession of 2008 and on. So what does he do? He re-invents a much maligned and ‘dying’ art form, Radio. 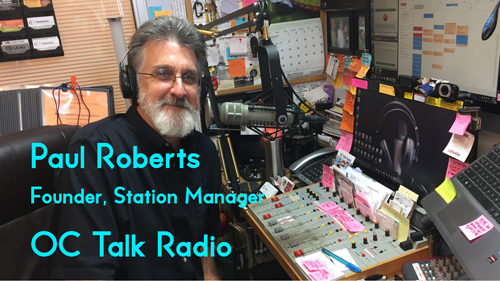 Join us for this fascinating interview with Paul Roberts, Founder & Station Manager of OC Talk Radio in Orange County, California.